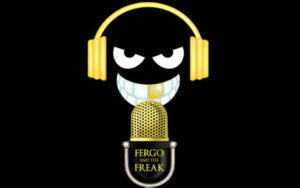 Welcome to the Fergo and The Freak podcast. Here you will find the many different ways you can listen to the podcast as well as any quick information you may need. Hosted by Andrew Ferguson and League Freak, the podcast covers different Rugby League topics and how they relate to the history of the game. Andrew Ferguson has a fantastic web site called The Rugby League Project which covers Rugby League statistics and is an amazing resource. You can also find him on Twitter as well as Facebook, and don’t forget to become a supporter via his Patreon page! The Glorious League Freak can be found at his web site The Official Web Site Of The Glorious League Freak. You can also find him on Twitter as well as on Facebook. Web are always on the lookout for new sponsors for the podcast. If you would like exposure for your company just get in touch by using the form below.